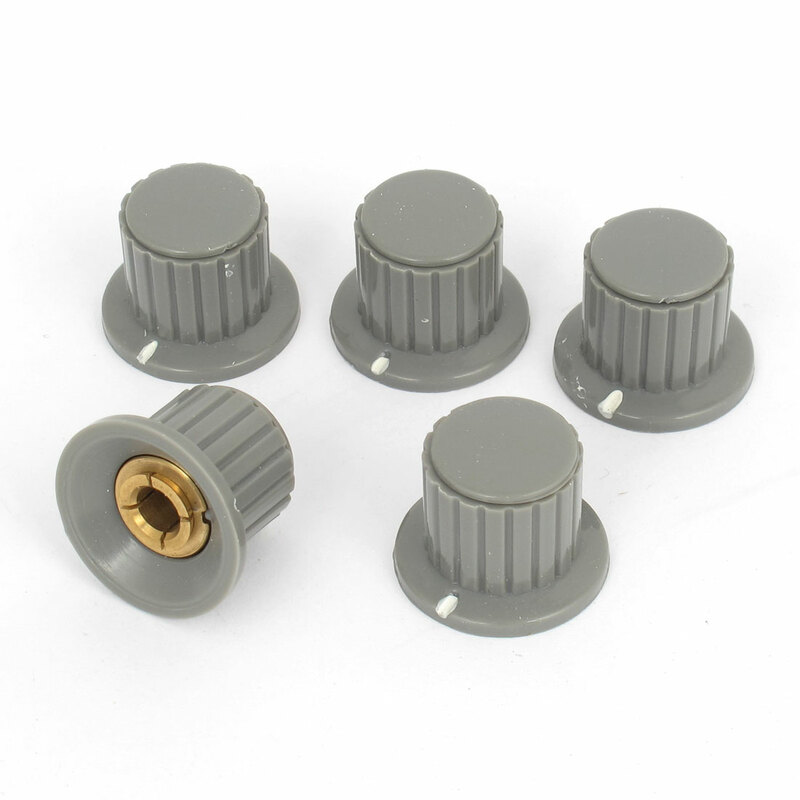 Features: Brass Tone Core, Ribbed Knurled Grip, With a Min / Max or Center Position Marker, 6mm Split Shaft Insert Diameter, 19mm Knob Top Diameter. Plastic control knob to be assembled to a potentiometer for easier rotation. Knob Top Diameter : 19mm / 0.75";Knob Base Diameter : 26mm / 1"
Shaft Insert Diameter : 6mm / 1/4";Knob Total Height : 20mm / 0.79"